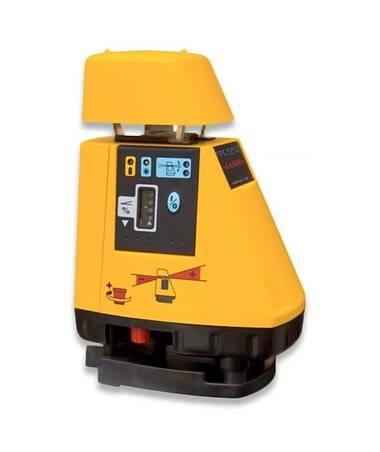 The Pro Shot AS2 Grade Laser combines superior precision and excellent performance to provide solution to most construction needs such as grading, leveling, excavating, and drainage applications. It offers 25 percent single axis slope capability with accurate 0.01-percent increments for setting specific slopes. It is equipped with a visible 670-nanometer red laser beam that conforms to CDRH and IEC standards. 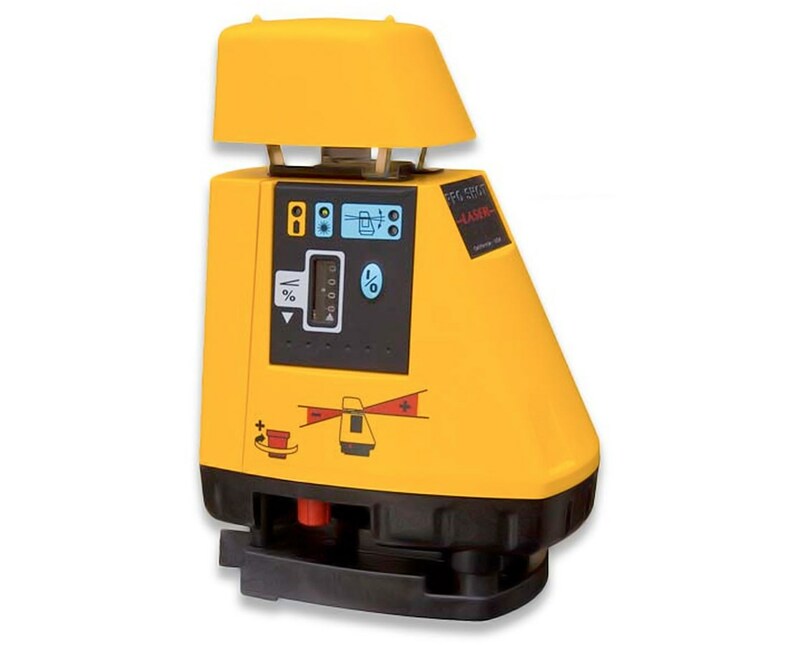 Featuring servo motor leveling technology, this Pro Shot single grade laser is self-leveling within ±4 degrees. It has 360-degree rotation coverage and a wide working range of up to 2,000-foot diameter with R9 laser receiver. It performs with accuracy of ±14 arc seconds (±.080 inch per 100 feet or ±2.0 millimeters per 30 meters) and rotation speed of 600 revolutions per minute. With a height alert mechanism, it ensures correct and accurate reading at all times. The Pro Shot AS2 Grade Laser comes with machine control compatibility for maximum flexibility and functionality. It includes four C-cell alkaline batteries and operates for up to 115 hours. NiMH rechargeable batteries can also be used for up to 85-hour runtime. It is supplied with a clamp and a carrying case for easy transport and convenient storage. With a three-year Guardian Warranty, it guarantees reliable service and long-lasting efficiency.